At some point you may decide to start upgrading your music collection. For example, replace low-bitrate MP3s with high-bitrate ones. But how to learn which albums are to be replaced? Checking the "Edit info" page of each album would be highly boring and ineffective. Fortunately, you can filter the main list of your albums by bitrate. Click the green plus button next to the "Filter" dropdown list. This will create a new extended filter. 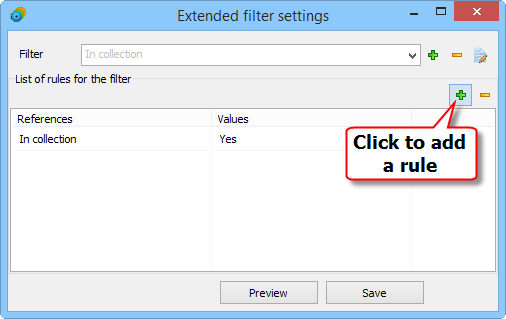 By default, one rule is added to each new filter: "In collection" - "Yes". We keep this rule, as we want to filter albums of our collection. But we also need one more rule, namely a bitrate-related one. So, click the green plus just above the list, in the upper right corner (highlighed on the screenshot above). A new entry appears just below the "In collection" reference. 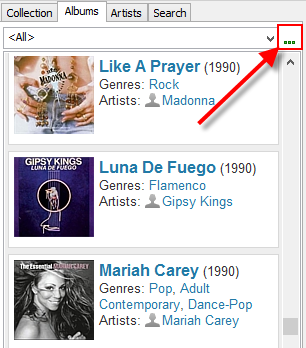 Click the entry and select "Bitrate" from the dropdown list. 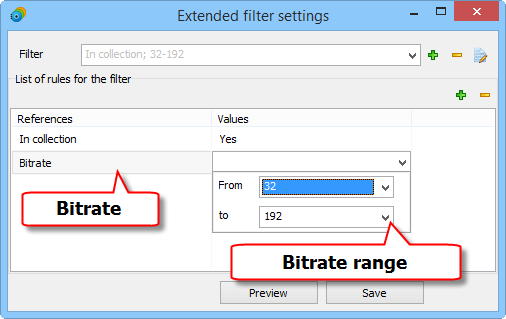 Once "Bitrate" is set in the "References" column, click the corresponding row in the "Values" column and select a bitrate range. In our example, we select bitrates 32 through 192. Click "Save" to save and apply the filter. 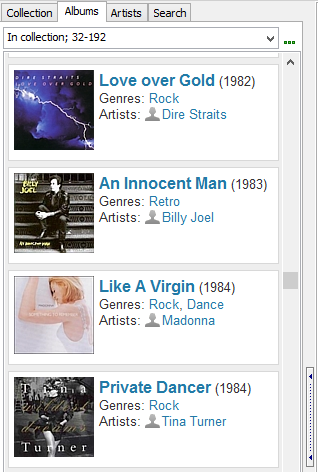 Now the main list shows only low-bitrate albums of our collection.